Taking and choosing the right family photo(s) for your holiday card can be difficult, especially if you want to do something a little extra special. 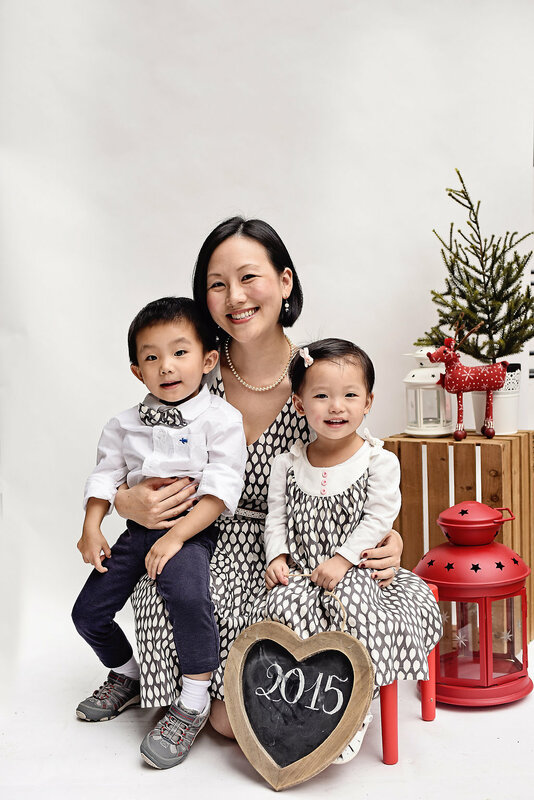 Below our ambassadors are sharing a few ideas to help you take your holiday card photos up a notch. Read through the fun suggestions they’ve provided and feel free to share your own unique ideas in the comments below! 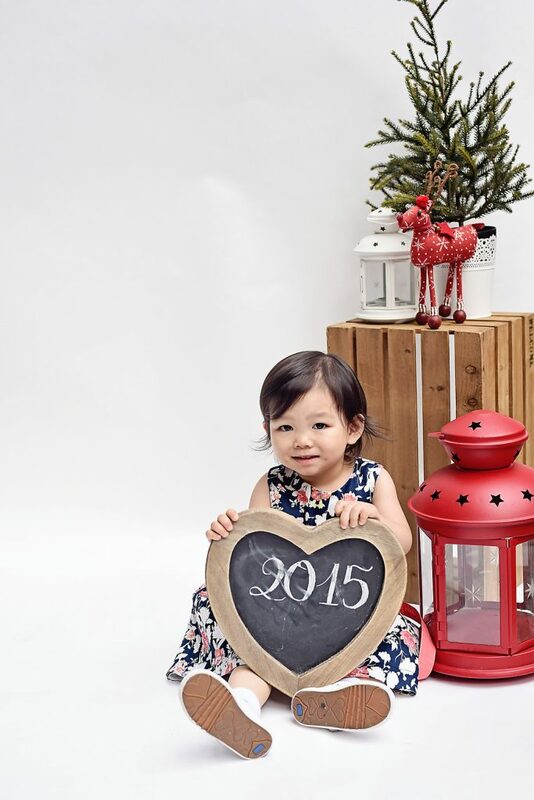 #1 – Find a special place to take annual holiday photos. 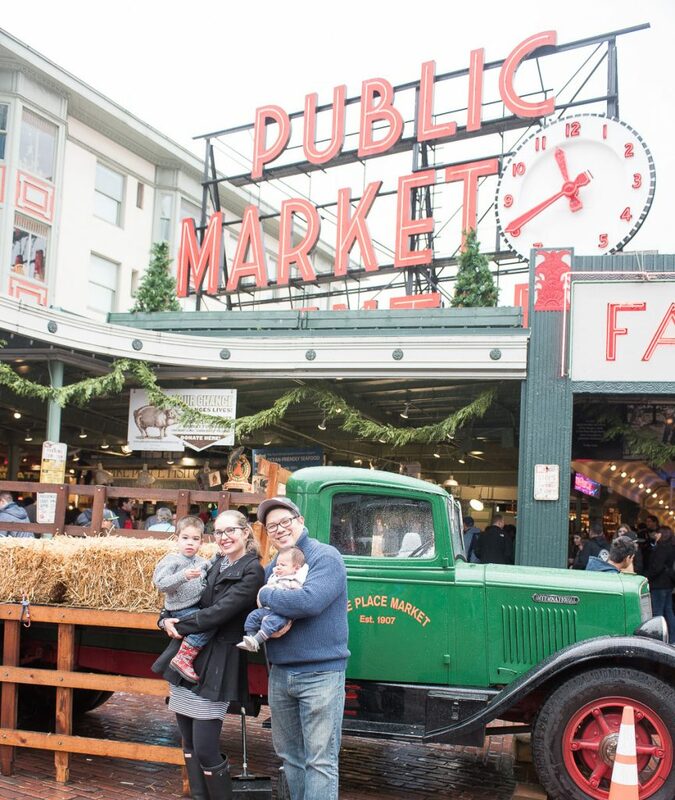 My family visits Pike Place Market in Seattle every year for their Magic in the Market. Not only is there an outdoor Santa photo op, but the whole Market is decorated! We take a family photo in front of an old green truck every year as part of our holiday family tradition. It’s fun to look back on the years and see how much the kids have grown! 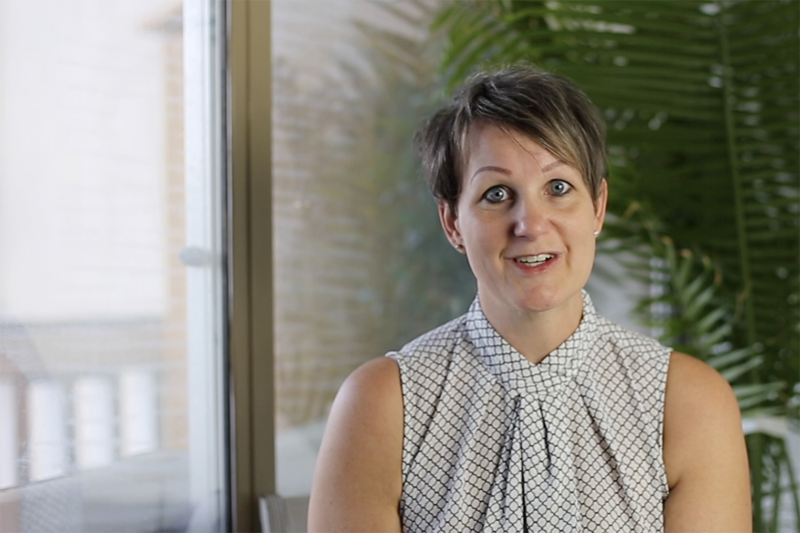 #2 – Set the scene with a diy Christmas-themed backdrop. If you are a keen photographer, you can easily set up a Christmas scene using a white backdrop, for example a white wall or a sheet make for a great cheap backdrop, at home.Make sure you have good natural light flooding the room , this is really important. Gather some Christmas themed props, and voila you have your very own professional studio. Set your camera onto a tripod or steady service and use the timer so you can all be in the shot. #3 – Play up your family’s sports rivalries in your holiday cards. Are you a sports family? Or have a fun sports rivalry in your house? Play that up in your annual holiday photo! 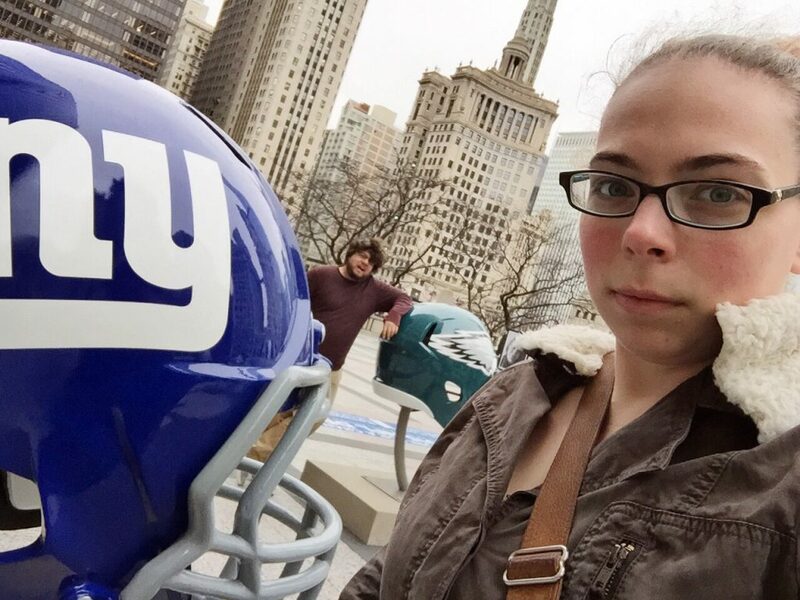 Find some team-related props or dress up in sports jerseys and represent your favorite teams! It’s a great way to show off more of your story! #4 – Give the neighbors something to talk about! 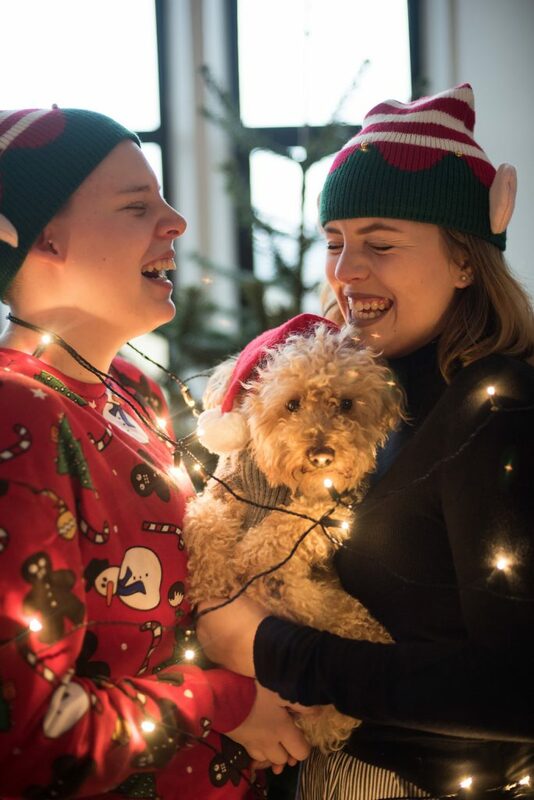 I regularly shot this family’s Christmas card, they are also good friends. As well as doing the formal photos we had fun too; jumping into their pool fully clothed!!!! A first for me and probably a last. Obviously this is not for everyone, but I know that years Christmas Card had a lot of talk . 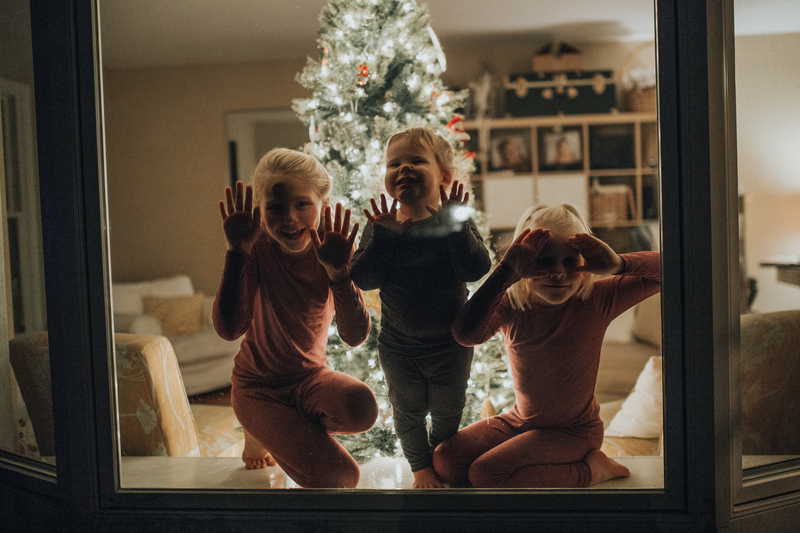 While the posing family holiday card is what’s typically expected, sometimes it’s fun to capture the candid moments of what the holidays are all about. The magic, wonder and fun of it all! I hear so many times that children help us see the magic, and I find that to be so true! 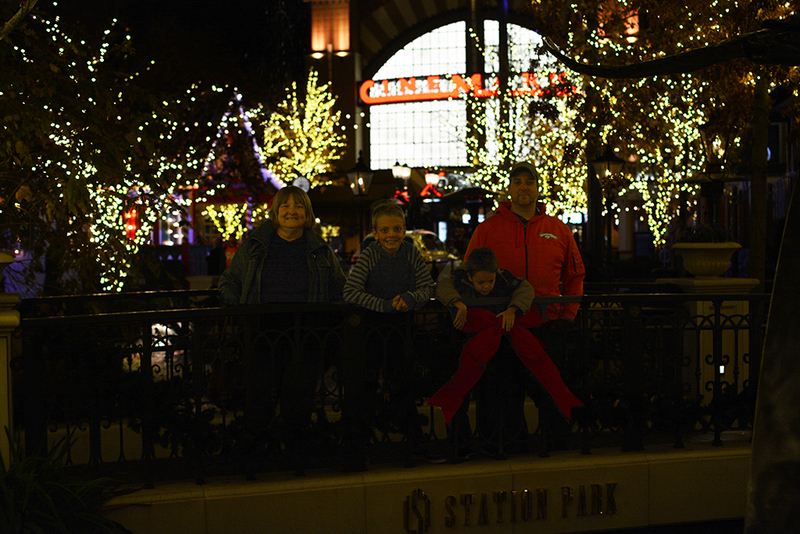 #5 – Take advantage of holiday events and outings! We wore pajamas on the Polar Express last year in Squamish, BC. 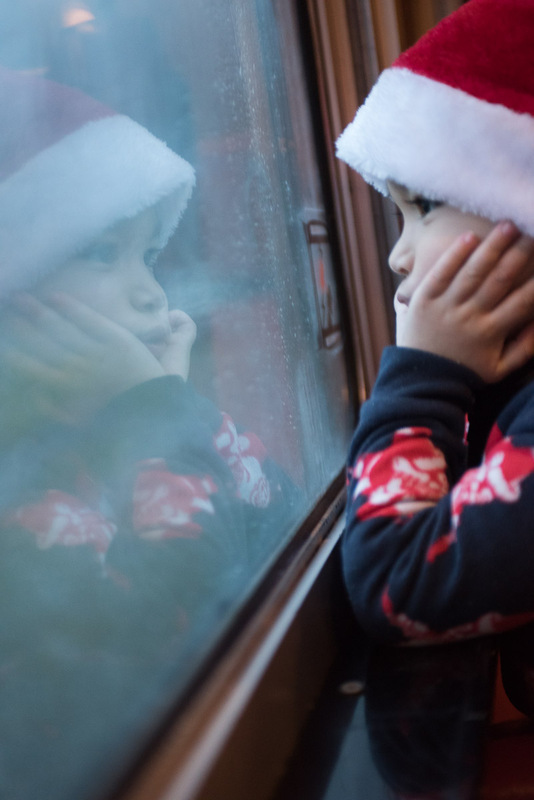 This sweet photo was taken on the train ride as my son kept his eyes out for Santa and his reindeer! I never would have thought to create a photo like this, but this event provided so many opportunities for magical childhood moments. Every year we go shopping and see a movie at the outdoor mall located near us in the first week of December. It’s always beautifully lit and decorated, so I often take the opportunity to snap a photo of the kids or if I can have someone else take a photo of our entire family to commemorate this tradition. I like to create photo collage cards for my close friends and family accompanied by a holiday letter and since this is a photo we take every year, it often makes it into the mix. #6 – Bring on the elf costumes and Christmas lights! I have seen this idea before on Pinterest (go to place for inspiration), and have always wanted to do my own twist on it. Last Christmas kids dressed up as elves, may I just add my kids are teens, no cure toddlers for this shot!. The dog got in on the act and I wrapped the kids and our dog in Christmas lights! I love the outcome. No posing required as we all found it such a giggle the photos were natural and fun. #7 – Build a family snowman (or sandman – depending on the weather)! 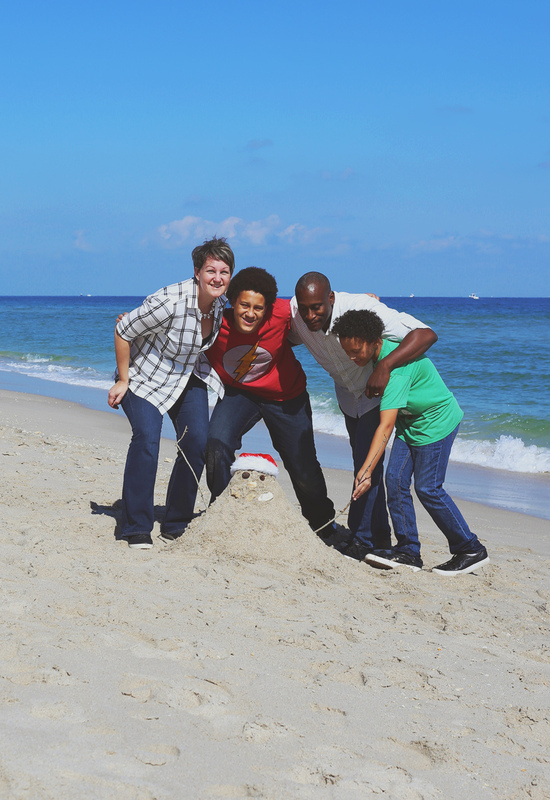 For last year’s card photo, we went to the beach and built a sand “snowman” and used a remote to grab a photo. Such a fun idea for people who live where it’s warm!